In order to remain competitive and be at the forefront of content promotion, SEO is a constant consideration. With so many different ways in which to engage in SEO, knowing which strategies to utilize at a given time can be tricky. Search engines are now hyper-sensitive to changes in user behaviour and website attributes these days, so any modifications to content, websites or overall strategies must be considered carefully. One upcoming way in which people are finding makes sense in the world of SEO is the product review. Below, we’ll discuss how and why product reviews can be very helpful in boosting overall SEO efforts in search and beyond. Depending on the industry and niche, there are often new products coming out every week, month or season. The people in your niche will naturally be looking to find out more information about these products, so it only makes sense to position yourself in a way in which to intercept this traffic. Whenever a new product is unveiled, be sure to secure some hands-on time with a demo in order to review it and report your findings. This will allow your brand to begin pinging URLs to these product reviews in search that will be among the first that search engine users find. This is obviously one crucial way in which product reviews can help bolster overall SEO effectiveness all year round. With product reviews in particular, it is important to know which audiences are most likely to search for which terms. 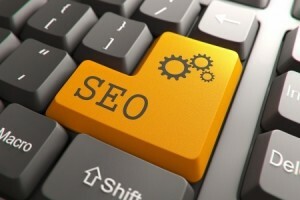 Keywords remain an important element of overall SEO, but they are not as prominent as they were in years past. With product reviews, however, it is necessary to target the specific keywords that will ensure proper placement. In many respects, there will be two types of keywords targeted – keywords that relate specifically to the product name (brand, model, etc) and keywords that relate to the broader topic, niche or website. In many cases, both of these categories can be combined in the review title and can then be alternated throughout much of the body of text. People curious about a new product want details. Not every single reader will be interested in every detail you have to say, but a product review should cover every facet of the product from the perspective of every possible searcher. Depending on your overall goal with respect to conversions, you may wish to provide additional product comparisons if the product in question is very new and/or expensive. At the core of every review, however, is the need for the writer to explain how the product feels, handles, performs and functions. While technical specifications for a given product should be included, you don’t want to be pinging URLs to search that only include this information. By writing detailed product reviews that target the right keywords and provide users with an objective and helpful explanation of products, you will be able to maximize overall SEO performance in key SERPs. Repeating this process many times can eventually provide brands with unprecedented SEO authority in a niche or category.